We know we’re meant to be providing half yearly updates, but in the interim we wanted to share and get feedback from you on some proposed changes. The look and feel of North Africa was officially released in the Demo last year with the inclusion of the Mersa Brega (version 1) scenarios. We have stuck with that look for all the updates and posts since. Over the last week we have gone back and looked at what we had and decided that the current look was rather bland and that with a bit of time we could possibly get something that looked a little better. We wanted to share with you the proposed new look and would love some feedback in the comments. Buildings are now more Middle East white rather than the more European/Russian look. New ground texture (and colour). Very important note. We removed the colour graduation for height levels. This works in the main, but does make it harder to see the high escarpment, say near Sollum & Halfaya Pass. The Brevity images below show this. New textures for Sand/Beach, Rough & Broken. We’re currently looking at Crete and there will be some tweaks here also – for example the water/shallow will definitely be replaced. Here are some Gifs, that cycle through the existing graphics, new graphics and with hexes on and off. These should cover a fair number of variations in terrain. 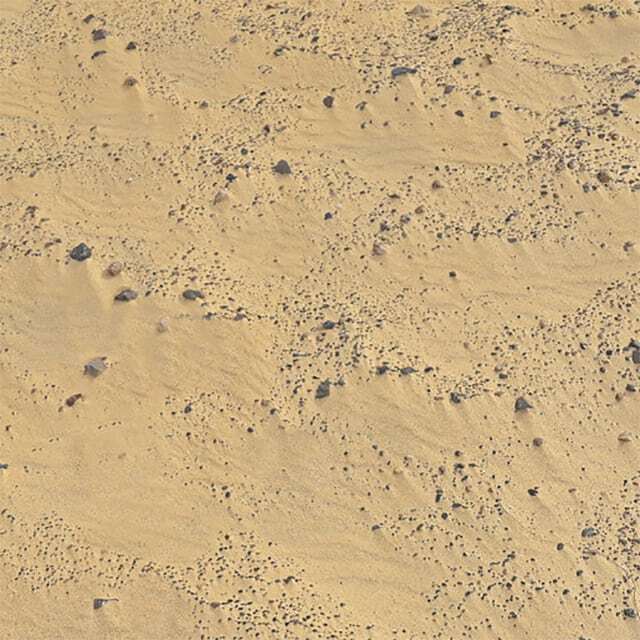 The first is from Mersa Brega and you will see the big differences in the sand and other features. Please note these were captured at 2560 x 1440 resolution and can be clicked to be viewed at full size. I like the older version myself. It is more functional, easier to observe the lay of the land. I’m more for functional than pretty. I don’t care about water colors, etc. I hope there will be an option and I don’t lose the original look, which is superior in my opinion. The plan is to include both. In my ideal world the new graphics would be the default, but you could overwrite with the existing if that is your taste. I like the new look – it’s more natural interms of colour scheme – but it does make the hex edges more important, and I have always had a gripe about the thickness of the hex edges. The thickness is out of scale with the map and makes the edges look like huge ridges (of course, due to the odd LOS treatment in JTS games this is, in fact, what they are, but I assume there’s nothing we can do about that…). I think if you did a thin version of the hex edges (there was a mod for this in BON, done by wiggum, I think) to go with the new graphics that would be a huge additinoal improvement, because with the colour coding gone you have to have the edges on to see height (unless you use the contours, of course, which are also hard to read, as don’t give shading cues). In general I like the new look much better. However, I think that the elevation differences may need a tad bit more differentiation in color shade. Also, I think I like the old rough terrain texture better so maybe the new one might need to be revised a bit to capture more teh flavor of the older one. Now what would really be cool is to have a pop up window that showed the terrain in two or three hexes from the cursor location that could be blown up in size, sort of the opposite of a jump map. .Maybe the edges could be drawn thicker in that view as well. Both are actually very good and I am glad that both will be included, but if I am critical I think your colors should be more or less in the middle of the two, while maintaining the difference in elevation coloring. The original is too light and the water too dark, but the new terrain and water are a bit too cartoonish and the lack of elevation coloring is an unnecessary step back in functionality. So happy to use both, but would actually prefer the middle ground. Nit pick mode off! Keep up the good work. The new graphics look really hot and the blue gives that warm sandy feel unlike the darker blue of the deep Atlantic. I notice you are going to include both but personally I’d be playing with the newer, though it’s always nice to have a choice. I like the new look, it seems much more evocative of the desert – but the white/cracked desert tiles could use some sort of edge softening/blending, as they sort of stick out. I always play with height contours on anyways, so the height shading doesn’t bother me so much. You might still be able to get away with some more shading though. The white hexes represent salt marshes and hence the very light colour. Right, I understand – however, what I mean to point out is that they look “abrupt” next to the colour of the sand. If it helps illustrate what I mean, the new rough terrain appears to blend in quite a bit better with the surrounding terrain – I don’t notice such a shocking change from one tile type to the next, whereas the salt flat hexes appear a bit too hexagonal when contrasted with the sand hexes. I think this is hidden much better in the first graphics scheme, obviously, since the surrounding sand is also whitish. It’s not a big deal, but I wonder if there is a way to define the outer edge of the salt flat hexes, in order to draw a sand-coloured border around them, in an attempt to blend into the nearby sand. Or, if there were specific “edge” graphics (with a linear fade from the salt graphic to the sand graphic) created to use for the last salt flat hex in a contiguous group, to create the illusion that there is a gradual transition between the white and orange shades in those hexes. Not sure my other comment posted – right, I see that these are salt flats. What I mean to communicate is that I find the transition from white to orange/desert very abrupt, which obviously does not occur in the first graphics scheme (since it is mostly white desert terrain as well). I wonder if there is some way to “blend” the edges of the salt flat hexes, in order to eliminate the harsh border (i.e. the salt flat hexes seem to really stick out, and look flat because of it). For instance, perhaps you could create specific “edge” tile artwork to be used at the extremity of any contiguous salt flat hex group. That is, create a linear fade from the white salt flat texture to the orange desert texture, and position these manually at the edges of the salt flats. This might effectively sell the transition from desert to salt flat and vice versa, without it sticking out too much. For instance, the new “rough” terrain in the second graphics scheme accomplishes looking quite blended in with the surrounding desert tiles. I like the new look, but the elevation coloring needs a lot of work. I would use the old look because of the elevation problem with the new. Sometimes is harder notice rough terrrain in new scheme than in old one and the broken terrain in Mersa Brega 2 pic looks a lot better than new one but apart this new village images and bushes are better. I think in general new version is better but the original version still has better points in certain areas. Functional rather than eye candy for me. Why does the brown/sand color have to be the same shade? Seems to me that you went from one extreme (gray and brown) to the other (all sand color). Why not shades of brown/sand to denote elevation? Like the new textures tho. Thanks for the feedback to date. I’m tinkering with a couple of things currently. I have tidied up a few things that have been irritating me such as the thickness of the slope edges (as called out by Peter W). This is something we did for Panzer Campaigns Gold and it worked there. There is still enough to see the slope and work out it’s direction. I have also adjusted the look of the salt flats as per Nick. For the ‘yellow sand’ graphics set they now have a much more yellow tinge as though soil has blown across it. That softens the starkness. For the original set they will be closer to the original colour. I’m also looking to see whether I can do a third graphics set which has gradient colours for the ‘yellow sand’ as that was the other repeated request. There are technical implications here due to how I did the feature file, but i’m looking to see what works/doesn’t work. No promises here as I have to undo a lot of work and there is a reasonable chance this won’t have the crispness of the current set. Testing will show me what is possible. Based upon that, I’ll do another blog post and show you the evolution and hopefully include a few shots for Crete. So, the aim is to definitely give you all two graphics choices; one with the legacy set that came with the Demo for Mersa Brega, one will be the single colour set shown previously (with tweaks) and possibly a gradient set if I can get it looking ok. Thanks again and please keep the comments coming. Nice, the improvements in map art are great and if you improve the improvements even better. Now the only thing i miss is the lack of an early access system to buy game yesterday to play it today hehehe. A little question, is any plan to improve the counters??? something like the JTS middle east title putting into counters critical info like unit strength and quality at least??? of course as option and only in full zoom in… something like the PzC 3D info showed in counters, for me is one of the things i still miss in JT titles, dont need click all the time to have this critical info. Thanks for the hard work and to keep us informed. Enjoy the new graphics look!